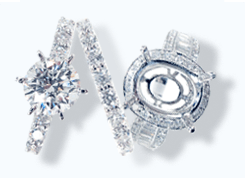 This video truly solidifies that we are best jewelers in all of New York City. When MTV did a segment on what Justin Beiber should get for his 18th birthday, they came to us, TraxNYC. We were flattered, so we pulled some of our favorite peices that we thought were fitting for the occasion and Justin Bieber, himself. In this video the Vice President of Trax, Paul Mazza is showing off some of our high end, custom peices. 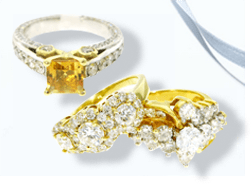 We always get such a positive response when it comes to the custom jewelry we create that most of the time we choose to keep these particular items in production. 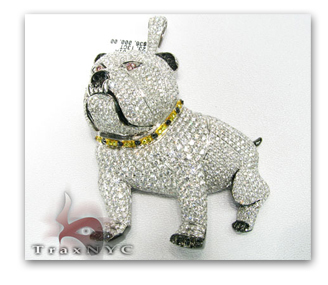 That was the case with this XL Bulldog pendant. The XL Bulldog one of the highest quality pieces on the TraxNYC website. And this particular pendant happened to have been the center of attention when MTV came by. 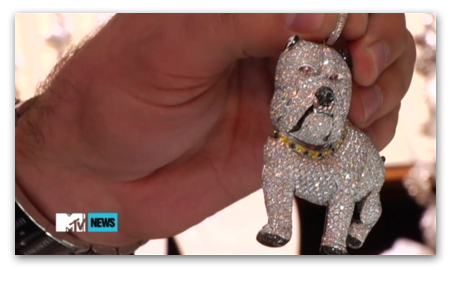 We can certainly picture Justin Bieber wearing this pendant. VS, canary, pink, black and white diamonds. You can click on the image to the left to take a closer look at this pendant on our site. The item started off as an order from a customer years ago, but we have kept this pendant in production ever since. Ready to start your custom jewelry project? Submit your idea for a quote using the links below or call us at 212 391 3832. 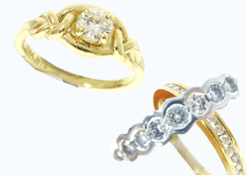 Back to Custom Jewelry Home Page.